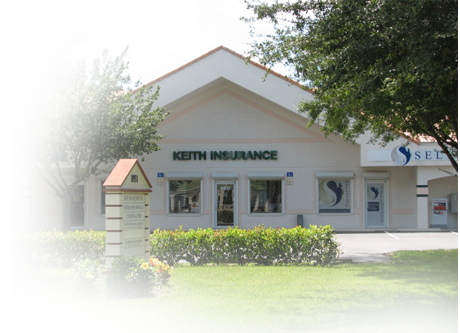 Keith Insurance is an independent insurance agency offering auto insurance, homeowners insurance, business insurance, motorcycle insurance, boat insurance, RV insurance, worker's compensation insurance, and life insurance. Our agency has been family owned and operated in Lee County since 1982, taking pride in providing each customer with the customer service they deserve. We represent over 20 different insurance companies, enabling us to shop your insurance to find you the best coverage for the most affordable price. Looking for the best insurance for your car, truck, or rv? If you are in the Lee County, Fort Myers, or Cape Coral area call us today for a quote! We provide whole life, universal life, variable life, and term life insurance. Click here for a free quote! Are in you in the market for commercial or business insurance? We offer General Liability, Property, or Business Owners insurance.Click here. Cruisers, sport bikes, off road vehicles, golf carts, and many more. Click here for your free motorcycle insurance quote! Are you in Lee County, Fort Myers, Cape Coral, or Sanibel Island? Click here to find out about homeowners, condo, tenant dwelling, or renters insurance. Personal watercraft insurance and Boats of all lengths and types. Click here for a free quote!